If you’re into ‘Top Gear’ or if you just simply love cars, a Super Car Driving experience is definitely something for you. Taking place at a state art of the track, you’ll be able to take control of some of the most beautiful yet monstrous vehicles such as an Audi, Lamborghini or Ferrari – pushing them to the limit as you keep your foot on the accelerator and reach heart-racing speeds. 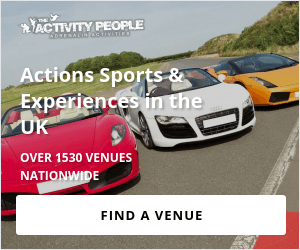 There’s a plethora of places to enjoy a Super Car experience in both the UK and Ireland, and even if you’re not a self-proclaimed driving expert you’ll be presented with full expert tuition to have you controlling the cars with ease.